Place a large pot of water (for the pasta) over high heat and cover. Roll up the pancetta slices and slice into strips with a sharp knife. minutes, drizzle 1 tablespoon of the balsamic vinegar over the pancetta and stir. Allow the cooked pancetta to drain on a paper towel and set aside. In a medium sized saucepan over medium heat, melt the butter. When the butter has melted, whisk in the 4 tablespoons of flour. Continue to cook and whisk the flour for about 30 seconds. Add the rosemary and continue to cook for another 30 seconds. Allow the sauce to come to a simmer, stirring constantly. While waiting for the sauce to simmer, liberally salt the pot of boiling water. Add the pasta to the water and cook for about a minute less than package directions. until melted and the sauce is smooth. Drain the cooked pasta and stir into the cheese sauce until combined. 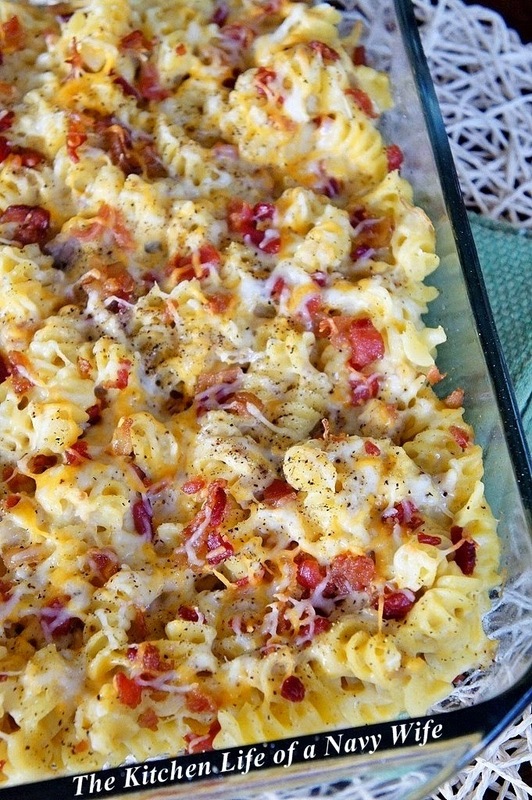 Pour the macaroni mixture into a 13x9 baking dish, and sprinkle with half of the smoked Gouda. Top with the cooked pancetta and then the remaining smoked Gouda. starts to get too dark, cover with a piece of aluminum foil.